If you're trying to add a little flavor to a basic main dish, try salsa. Salsa adds extra flavor, jazzing up basic pan grilled or roasted meat, fish, or poultry. Serve this flavorful salsa with chicken breasts, grilled pork tenderloin, chops, steak, or fish. 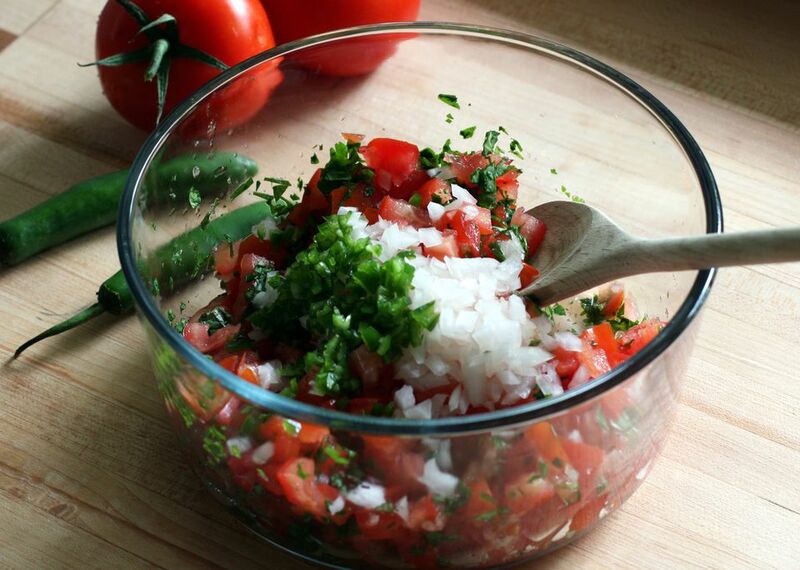 This tasty, easy salsa recipe is well worth the chopping time. Core the tomatoes. Remove the seeds and chop them coarsely. In a bowl, combine the chopped tomatoes, garlic, onion, chile pepper, cilantro, and lime juice. Toss to blend the ingredients. Add salt and freshly ground black pepper, to taste.